Tourism in Iran is booming after the nuclear conflict. Right after a historic deal, between between six world Iran tourism expecting a big jump in the tourism industry. 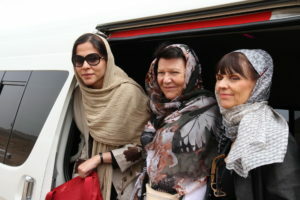 Although many sanctions have already been lifted by the European Union and some European companies have a head start in developing more robust Iran vacations but it seems reduce the gap between the number of Iran’s tourist attractions and the number of tourists entering in Iran is not easy as restoring Iran’s image will take a long time. Iran has one of the largest resource bases for cultural, natural and historical sites of any country in the world. From the “Jiroft civilization” south of Iran, to the “Shahr-e Sukhteh” or the “Burnt City”, in the south east of the country,; to the “Choghazanbil” Zigurat, one of the rare few ziggurats or Step Pyramids, outside of Mesopotamian heartlands, all the way down to the magnificent Achaemenid palaces of Persepolis and regal tombs in Pasargadae, near Shiraz, are all but a few examples of what the land of Persia has to offer, when it comes to ancient history. Discoveries are under way for finding the rest of the historical sites and relics across the country. Since 1930, the year the first Ancient Monuments Protection Act was ratified in Iran, we have managed to register 32,000 historical sites in the country. At the moment, Iran generates nearly USD 8 billion from tourism or its related sectors, which comparatively viewed, puts it at the 36th position worldwide. Of course, there are several reasons to this shortcoming: From the negativity of anti-Iran propaganda churned out by mainstream Western media on a daily basis to the under-development of Iran’s inland transportation system and hospitality industry, for which a decade of tough nuclear sanctions plus many more years of a general blockade can be partly blamed. The size of Iran tourism industry – including cultural and ecotourism as major components of it – is estimated as having the potential to create jobs for 1,285,500 and rise by 4.1% pa to 1,913,000 jobs in 2025. Based on the report by World Travel and Tourism Council in 2015 in the year of 2014 Travel & Tourism directly supported 413,000 jobs (1.8% of total employment). This is expected to rise by 4.4% in 2015 and rise by 4.3% pa to 656,000 jobs (2.2% of total employment). in 2025. The document also reported that money spent by foreign visitors to a country (or visitor exports) is a key component of the direct contribution of Travel & Tourism. In 2014, Iran Tourism generated IRR24,903.4bn in visitor exports. In 2015, this is expected to grow by 3.2%, and the country is expected to attract 3,167,000 international tourist arrivals. 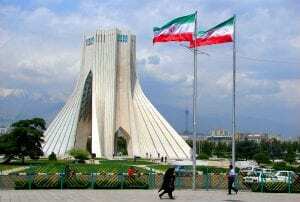 By 2025, international tourist arrivals are forecast to total 4,740,000, generating expenditure of IRR 34,604.1bn, an increase of 3.0% pa which can cause great economic leap in Iran But in this way, Iran will face challenges that it’s not too easy to control. Infact over the last two decades, Iran Tourism has been presented by the global media to the world as a strict and religious country. This, of course, makes it improbable that recreational tourists will choose this country as a destination, rather than travelling to other places that are apparently much less ‘difficult’. Good intercultural communication, a clear understanding of tourists’ needs and modifying Iran own attitudes towards tourists and tourism must necessarily be considered as vital elements for paving the way to providing them with sense of ease. At the same time, Iran should concentrate its efforts on attracting foreign tourists who value the cultural and natural advantages specific to Iran. Such tourists are much less likely to be deterred by the negative propaganda against the country.